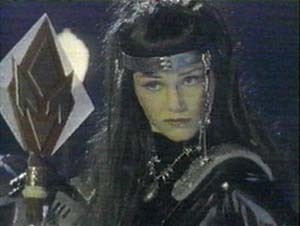 Karone was kidnapped as a child by Darkonda. She was turned into the evil Princess Astronema by Dark Specter and Ecliptor. When Andros found out that she was his lost sister, the one he had been looking for since she was kidnapped, he did his best to prove to her that she was who he said she was. She turned to the side of good for a while, but was later recaptured and turned evil again with the help of cybernetic implants. 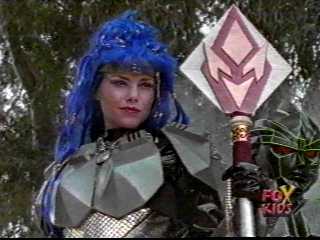 It was her that lead the forces of evil against earth and the entire universe in the episode of Countdown To Destruction. 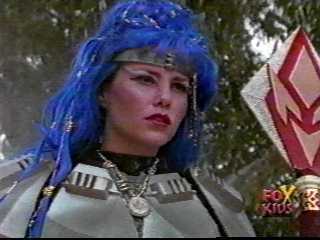 After Zordon's death in Countdown to Destruction, Karone returned to the side of good. 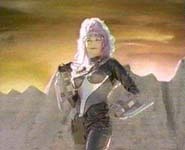 Later Karone took on the role of Pink Galaxy Ranger in place of Kendrix. 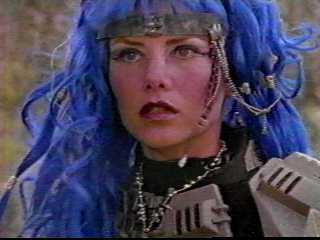 See her other page in Power Rangers Lost Galaxy.